All three of NASCAR’s national series are in action this weekend. The Monster Energy NASCAR Cup Series and the Camping World Truck Series taking on the two-mile Michigan International Speedway in Brooklyn and the Xfinity Series heads to Lexington, Ohio, to go road-course racing for the second-consecutive weekend, this time around at Mid-Ohio. Saturday’s Rock N Roll Tequila 170 for the Xfinity Series is part of a Mid-Ohio race weekend that includes SCCA’s Trans-Am and F3 series. The Xfinity race is slated for a 75-lap distance, divided into stages of 20, 20 and 35 laps. Sam Hornish Jr. is the defending winner of the race, but he’s not on the entry list for the 2018 edition of the race. Justin Marks, who won in 2016, though, will return to Chip Ganassi Racing to contend the race, again. The Truck Series will kick off the competition portion of the NASCAR weekend at MIS with Saturdays’ running of the Corrigan Oil 200. The 100-lap race will consist of two 20-lap stages, followed by a 60-lap third stage. 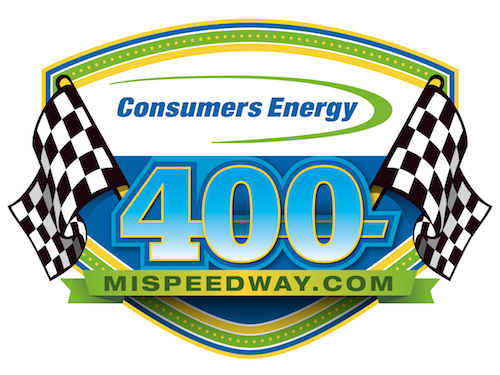 Sunday’s Cup race, the Consumers Energy 400 is scheduled for 200 laps, split into stages of 60, 60 and 80 laps. Clint Bowyer is the most recent Michigan winner, claiming the most recent of his two 2018 Cup Series wins there in June. Prior to Bowyer’s win earlier this season, Kyle Larson posted three-straight wins at MIS. Darrell Wallace is the defending winner of the Truck Series race, but he isn’t expected to race on Saturday. Brett Moffitt is the most recent MIS winner among the series’ current regulars, winning there in 2016. The race weekend forecast for Michigan includes chances of thunderstorms on Friday and Saturday, with a 62 percent chance on Friday, dropping to 40 percent on Saturday. The forecast for Sunday’s Cup Series race looks much better with only a 13 percent chance of precipitation. Temperatures between the low and mid-80s are predicted for each day, with overnight lows in the low-60s expected. Thunderstorms are also in the weekend forecast for Mid-Ohio, both for Friday and Saturday. A 56 percent chance of a storm Friday drops to 41 percent for Saturday. While lightning could interfere with activity, NASCAR and Goodyear will have rain tires on hand, enabling action to continue in wet conditions. Expected temperatures at Mid-Ohio are similar to those expected at Michigan, with daily highs in the low-80s and overnight lows in the low to mid-60s.